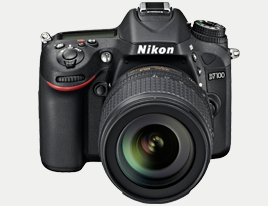 The D7100 comes equipped with a 51-point AF system that covers a wide area with high density. In the 1.3x crop of DX mode, the 51 focus points cover almost its entire image area, attaining extremely high subject capturing power. The center focus point is compatible with AF at f/8. By pairing this lightweight, compact body, unique to DX formats, with a teleconverter, you can pack light but still enjoy super-telephoto AF shooting. The D7100 employs an image sensor unit designed without an optical low-pass filter to take full advantage of the high resolution achieved by its high pixel count. This image sensor unit maximizes the resolving power of 24.1 megapixels and NIKKOR lenses, bringing sharp, clear rendering of delicate details of your subjects. With this camera, you can shoot high-definition images that retain excellent quality even if trimmed or enlarged. Reduced from the D7000, the D7100 weighs a mere approx. 675 g/1 lb 7.8 oz (body only). With excellent capturing power, exquisite detail reproduction and depiction performance encapsulated in this compact, lightweight body, the camera demonstrates great agility. The body is also durable as it employs magnesium alloy for the top and rear covers. With effective sealing applied on various parts of the body, it secures weather and dust resistance, equivalent to the D800 series and D300S. 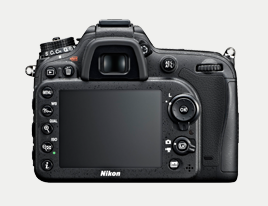 As a middle-class DX-format D-SLR, it features a highly sophisticated design, which satisfies pride of ownership. * Based on CIPA Guidelines. * Based on CIPA Standards. 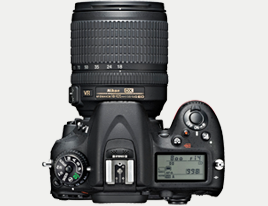 Digitutor is a Nikon website featuring various information that includes basic knowledge, useful techniques, and tips on taking good photos with Nikon Digital Cameras.